Fleet managers across the UK are familiar with the situation: the worst-case scenario has occurred, and one of your drivers has become involved in a collision incident. Not only is it immediately important to ensure the safety and well-being of the involved parties, it is also the duty of the fleet manager to protect their business by quickly and comprehensively understanding the incident – and how it can be taken through their FNOL response process. Traditionally, this has been an understandable drain on resources for a senior position that is already busier than most could handle! A slow FNOL process disrupts other delivery schedules and admin duties that you – and your business – can ill afford. Fortunately, the rise in telematics technology, improved connectivity and real-time data-flow between drivers and their headquarters means that fleet managers can do much more to streamline their operation, keep their employees and assets safe, and make their FNOL process as swift as it can be. The Street Angel shines in this area, offering several significant benefits over its competitors where FNOL is concerned. No human intervention required: Should a fleet manager need access to video footage from the Street Angel to contest a claim, there’s no need to extract it physically from the hardware. 3G, WiFi and Bluetooth can all transmit data from the 128GB onboard storage to the iOS and Android apps or the desktop portal. Automated video uploading: No hanging around when incidents occur. Street Angel automatically uploads incident data to the portal, including video. Smart crash detection algorithms: Simply put, the Street Angel knows what is important and what isn’t. The crash detection algorithm determines the most valuable data available should an incident occur and makes sure it is made available immediately. 24/7 video monitoring: Street Angel provides a video monitoring station that is always active and available. That means that whatever the day and time you’ll never miss a notification, and Street Angel always has you covered should an incident occur. So, just how else does this new tech help? Reduced information intake time: For the fleet manager, it’s far from rocket science: Instead of archaic processes where there is a reliance on manual reporting to HQ following an incident, telematics packages use inbuilt 3G, WiFi and Bluetooth to automatically transmit incident data. That’s a serious shift in the process. It removes a human element during a stressful time and allows for an objective and reliable set of telemetry to be sent instead of a personal report from the driver which may be flawed. The provision of more in-depth and reliable information in a shorter timeframe also allows the fleet manager to protect their business with involved clients. Instead of hearing of a serious incident some time after it has occurred, telematics packages and video event data recorders offer instant data-flow that can be integrated into the fleet manager’s real-time tracking and route planning. This makes a swift adjustment in plans to compensate for the incident possible, resulting in less disruption to the delivery schedule. Reduced insurance fees: Insurers are just as interested in streamlining the FNOL response as fleet managers. The rise of Usage Based Insurance (UBI), where premiums are adjusted almost in real-time based on a range of metrics that can be provided in part by telematics equipment, is a testimony of how the industries are reacting to new technology. Those of us unfortunate enough to have experienced an accident in our own vehicles know how frustrating the claims process can be. Witness testimony, if available, can be unreliable and liability can land unfairly on involved parties only after a drawn out and uncertain claims process. Not so if your fleet works with an insurance company where telematics is involved. That data-flow – which includes a wider range of accurate metrics – gives insurers exactly what they want: granularity. UBI can dig as deep as considering road state, incident rates, weather reports and vehicle health alerts to give the most accurate incident picture possible. That means better customer service and significant savings for the insurer, which is directly passed to the fleet through reduced premiums. Actionable data: Integrated vehicle solutions are about a lot more than just incidents. 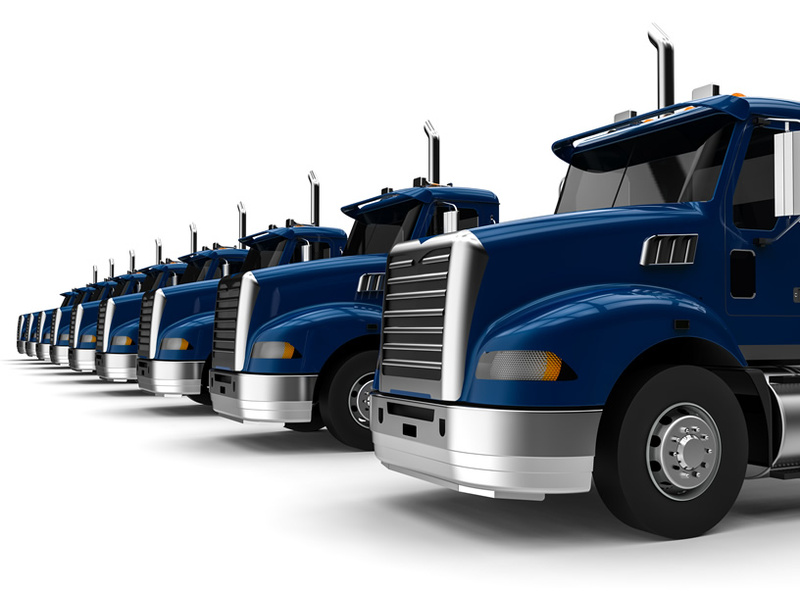 The benefits include streamlining the daily operations of your fleet drastically through real-time reporting. Fleet managers know the challenge; you have a huge number of wheels on the road at any given time, all delivering different loads to different clients. Optimising travel routes and managing drivers effectively is the heart and soul of the role, and it’s where telematics shine in offering ways to make it better. The best hardware gives the fleet manager a real-time picture of every stage of delivery, with hardware like the iC360 offering details as specific as for when vehicle doors are opened and closed, and handbrakes and indicators used. That’s a big deal for training staff and monitoring general activity. Not only can metrics be fed back into staff training and behaviour improvement, they also give the fleet manager rock-solid confidence in the progress of each delivery as it happens. Fleet risk management is likewise improved drastically, with forward-facing cameras and real-time telemetry proving a valuable tool in reducing and measuring risk. The larger the fleet, the more this data-flow matters and makes a difference. We are proud to offer industry-leading integrated solutions for businesses that need them most. Our range of products such as the Street Angel and iC360 offer tangible ROI and keep your drivers and other road users safe on the road. To learn more about our product specifications and service benefits, visit our website today or get in touch with the team by phone or email.